Come and see our chicken coop! It is always an animated space, full of flurries, and highly stimulating. We’ve noticed that this place helps many of our visitors feel grounded and present. 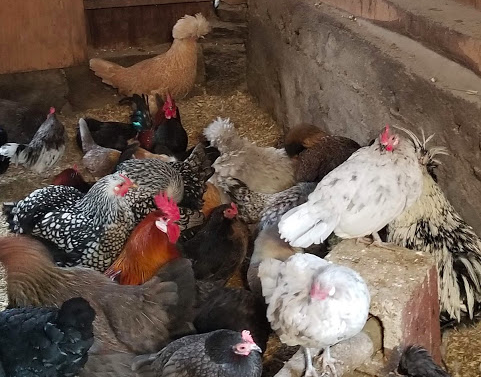 Maybe this is because the atmosphere of the coop reflects what is going on in their minds, giving them a familiar feeling, and thus creating an unexpected harmony with the client. 25 chickens, a duck, and a turkey live together in our coop. Each of the inhabitants of the coop has its own story of loss, or survival, or drama and then a story of victory and success. Aflac is our duck who lives in the coop with chicken. He has lost his entire flock because of the coyotes. 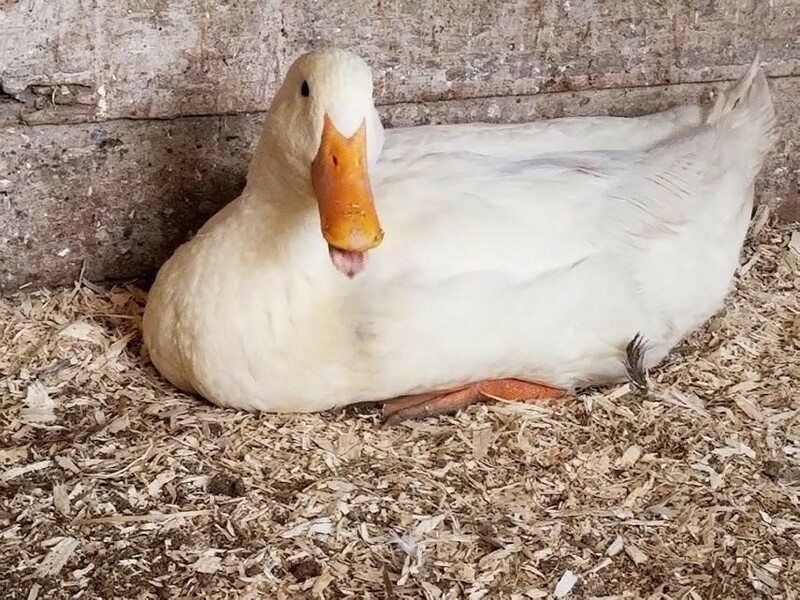 Aflac was deeply traumatized so he lost his quack for a few months. Eventually he befriended Thanksgiving, the turkey. They are the best friends now. Aflac and Thanksgiving stay together all the time, and the duck is quacking again! Many of our clients really like the chickens. They like a tangible nature of being able to hold a chicken, to feel how brittle and small it is. I’ve seen girls from the 4-H who came to the Cultivate care farm and stayed with our chicken for almost an hour! They don’t want to be around any other animals, they just wanted to move chicken from box to box and see their eggs in their nests while cleaning the coop. This type of care taking, even on a small scale, is very gratifying to our clients.